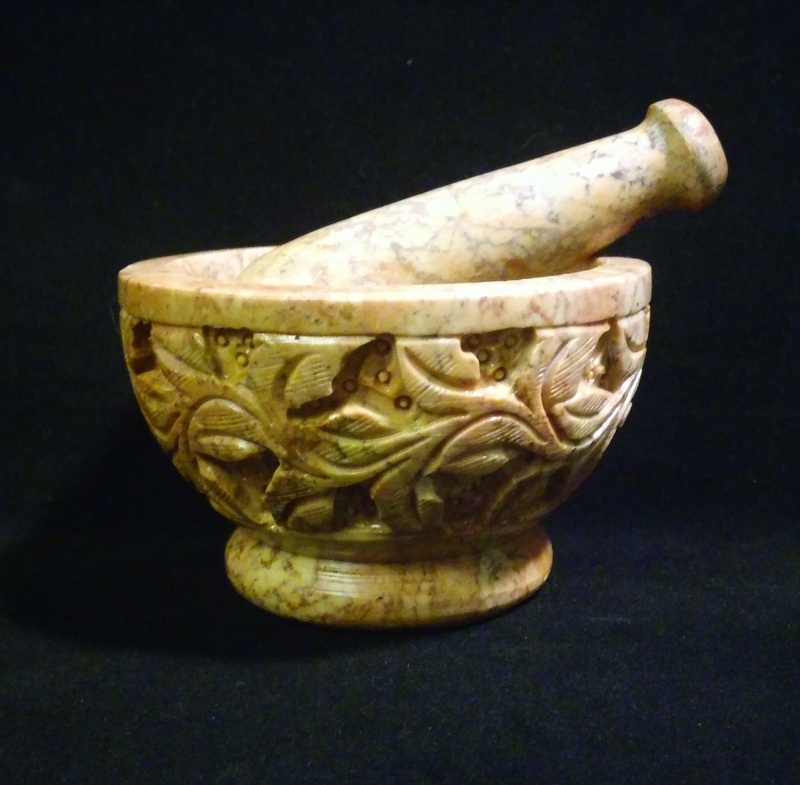 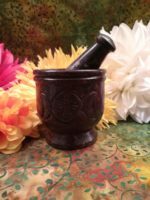 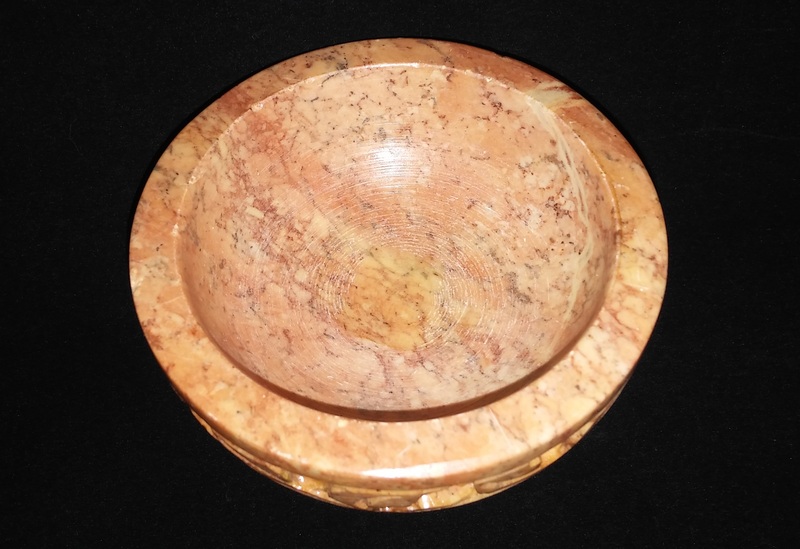 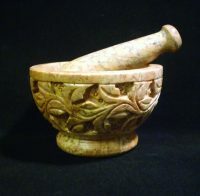 Carved pink marbled soapstone mortar and pestle. 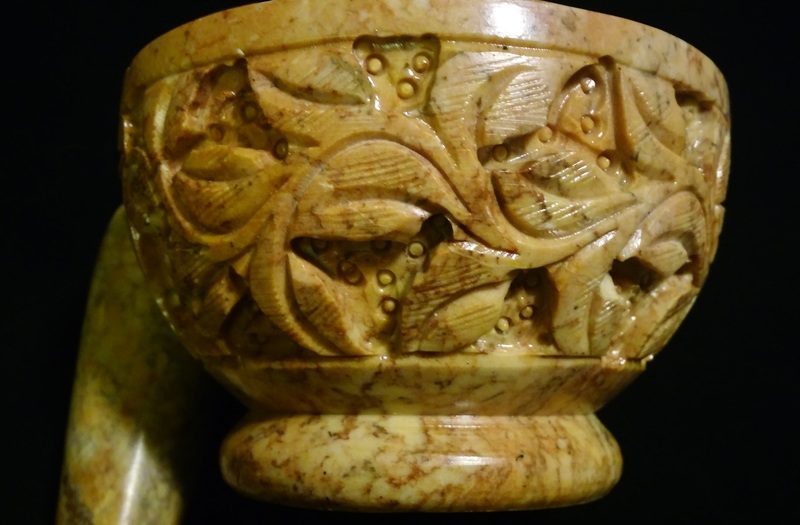 Deeply carved vine and leaf design fully encircles the bowl. 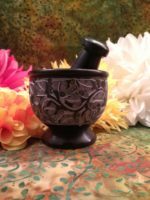 2 1/4″ tall and 4″ diameter.